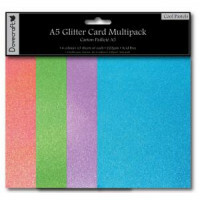 Cool Pastels - A5 Glitter Card Pack of 12 sheets: 3 each of 4 colours. 220gsm. Doesn't shed ..
Purple glitter 20g bagPerfect for adding a glitzy touch to any art or craft project. Simply shake on..
White glitter 20g bag Perfect for adding a glitzy touch to any art or craft project. 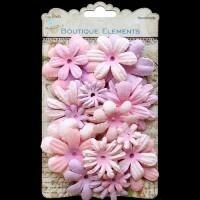 Simply sha..
30 paper flowers in pink shades Sizes approx 1,5 to 5 cm.. 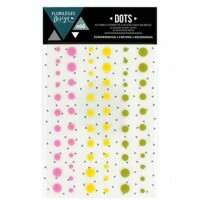 This package contains 66 adhesive enamel dots in three different colors and three different sizes : ..